Photo Credit: Killian and Co. In a perfect world, I wouldn’t be carrying around a camera that weighs a small baby. Instead of the life-in-a-bag carrying schlub that I tend to err towards, I’d love my relationship with my bag to be light and effortless (never going to happen). My mother somehow channeled this when I was growing up. I remember childhood trips to Hong Kong with my family in which my mom, helming three very small rambunctious children with every single manner of irrational and medical needs, managed to carry everything in a single Lacoste bucket bag. The memory of that magic bag with the tassels stuck. I even asked about it two decades on, and sadly, it was already in someone else’s pre-loved collection. Ever since then, I’ve been on the hunt for a new one. I actually already have three treasures from vintage hunts, but the perfect one is still out there. Sturdy, cute, effortless, the perfect balance of minimalist and boho, either good sturdy leather or the thickest of canvas, and able to carry a small baby of a camera. These are some faves. 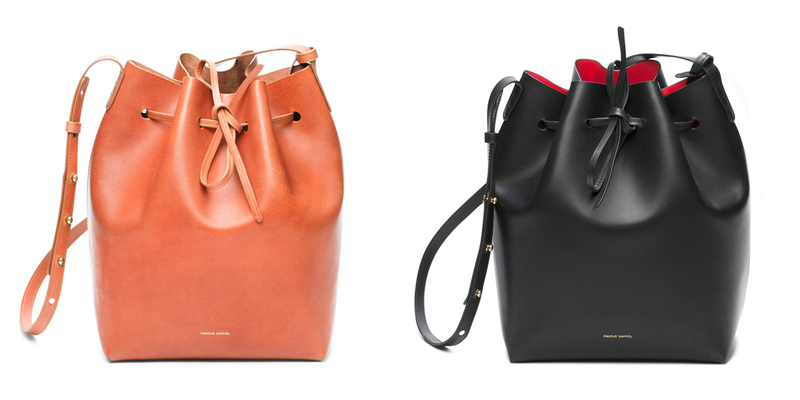 Bucket Bag by Mansur Gavriel in Raw and Flamma. 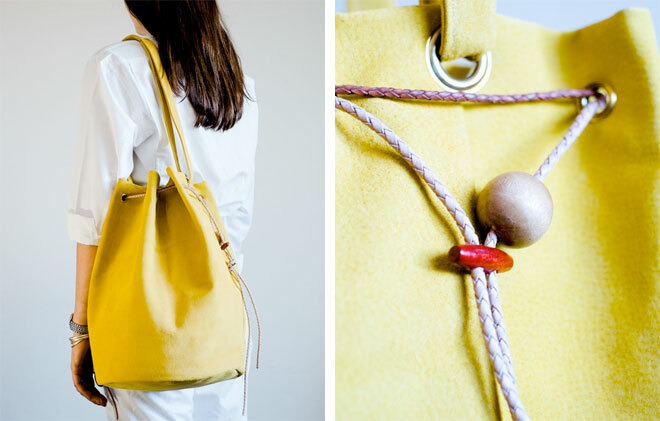 Momo Bucket Bags, via Miss Moss. 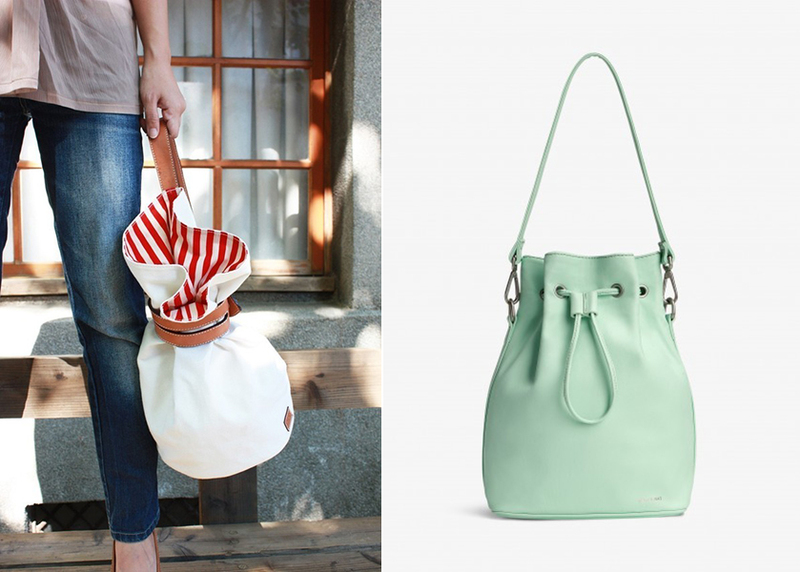 QuoteBagStudio Leather and Canvas Seabag (left) and Matt and Nat Isshiki Bucket Bag in Mint. Also I couldn’t leave you without this perfect shot. 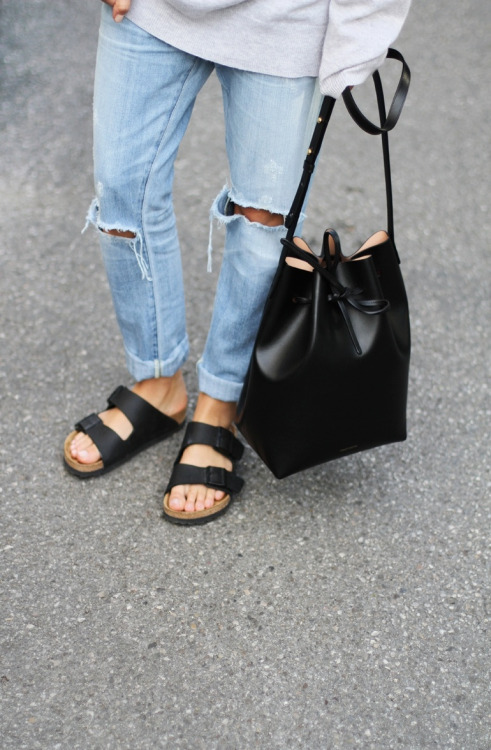 Mansur Gavriel Bucket Bag, via DesignLoveFest. 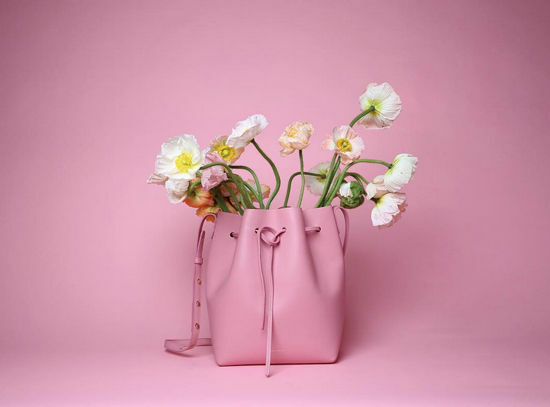 Categories: prettyshit | Tags: bucket bags | Permalink.